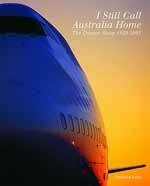 The Qantas campaign, “I Still Call Australia Home”, is one of the frontrunners for the top Australian television campaigns of all time. Running from 1997 through to 2004, the campaign has linked together Australians living at home with those travelling or living overseas. Beginning with a range of Australian musicians, the campaign has come to be associated with the Australian Girls Choir and National Boys Choir. The 1997 campaign was developed at Publicis Mojo, Sydney. Director was Geoff Dixon, via Silverscreen Films with director of photography David Gribble. “I Still Call Australia Home” spot was produced in 3-minute and 60-second spots, and broadcast during the Australian broadcast of the opening of the 1998 Commonwealth Games in Kuala Lumpur, Malaysia. The choir were involved in promotional appearances, including a promotional concert in Los Angeles that tied in with the highly successful airing of the TV spot in the Super Bowl, January 1999. The Super Bowl screening ensured that Qantas reached over 14 million viewers in the United States. The spot reached an estimated 31.7 million viewers after it was picked up by “high-credibility” media outlets, including CNN International and ABC World News. This Qantas campaign was created at Singleton Ogilvy & Mather, Sydney, by executive creative director John Singleton, creative director/copywriter Paul Duane, creative director/art writer Ant Larcombe, and agency producer George Saada. Director and director of photography was Iain Mackenzie, then at Window Productions, Sydney, with producer Andrew Morris. Editor was Bernard Garry, now at Karl Marks. Music was produced by Les Gock, former lead guitarist with 1970s rock group Hush, and founding director of Song Zu, Sydney. A Channel Ten documentary, “They Still Call Australia Home”, provided a behind-the-scenes look at the making of the ad, following the members of the two choirs. Jason Cameron filmed the choir in performances and recreation in Australia and USA. The choirs sang in Christmas concerts in Melbourne and Parliament House, Canberra. In Los Angeles the choir sang “America the Beautiful” at a UCLA basketball game, and sang “I still call Australia Home” on a morning television show. 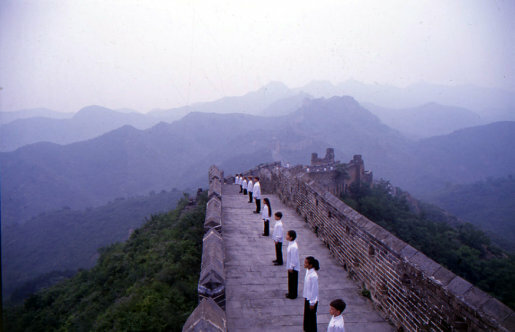 The ‘Qantas Choir’ went on to perform in media launches in Manila, Jakarta, Hong Kong and Tokyo. They together recorded The Sprit of Christmas CD, which went platinum and was nominated for an ARIA award. The 2000 Qantas ‘Still Call Australia Home’ campaign was created by Singleton Ogilvy and Mather, Sydney, and directed by Iain Mackenzie with his own company, Blindfold Pictures, Sydney. 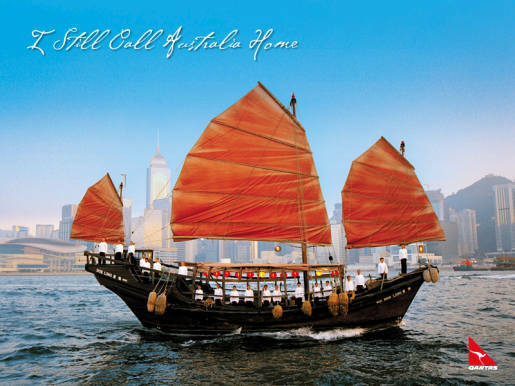 In 2003 Singleton Ogilvy and Mather promoted a Qantas connection with Australia’s hosting of the Rugby World Cup by featuring the song, “I Still Call Australia Home”, being hummed by a men’s choir. Rugby stars Martin Johnson (England), Tana Umaga (New Zealand), Brian O’Driscoll (Ireland), Alessandro Troncon (Italy), and Joe van Niekerk (South Africa) were shown alongside other rugby players, preparing to call Australia home. Filming was shot by director Wayne Maule via Plush Films with director of photography Geoffrey Wharton and production staff from around the world. Post production was done at Fin Design. Peter Allen, composer of the song, “I Still Call Australia Home”, was a songwriter and cabaret-style performer who spent most of his performing life in the United States. He was most popular in the 1970s and 1980s, co-writing songs for Melissa Manchester, Olivia Newton-John (I think I love you). He helped write the theme to the 1981 movie Arthur, which featured his ex-wife Liza Minnelli. Allen’s albums included Tenterfield Saddler (1972), Bi-Coastal (1980) and Not the Boy Next Door (1982). He died in 1992, aged 48, after giving his final concerts in Sydney, Australia. “I still call Australia home” was used in ‘The Boy from Oz’, a musical about Allen’s life, starring Hugh Jackman. 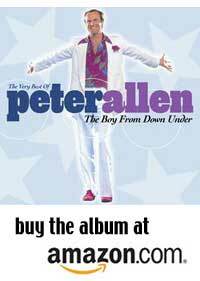 ‘I Still Call Australia Home’ is featured on the album, ‘The Very Best of Peter Allen, The Boy From Down Under‘. Note that the original lyric has ‘Rio’ rather than Rome. However Qantas doesn’t fly to Rio. but my heart lies waiting over the foam. when all of the ships come back to the shore. Then I realise something I’ve always known.